As superhero diversity has increased in recent years, films such as “Black Panther” — not unlike such recent animated movies as “Coco” and “Moana” — can start conversations about issues of cultural appropriation, and who is allowed to dress as a certain character. Megyn Kelly’s comments defending the wearing of blackface on Halloween further stoked debate about how race is represented in costumes. But in interviews with The Washington Post, several creators who have helped shape the Black Panther character, along with other prominent authors who have written characters of color, are adamant: Any kid can dress as Black Panther. The top two films of the year, “Avengers: Infinity War” and “Black Panther” ($3.4 billion combined globally), both spotlight Wakanda — and Hudlin celebrates the omnipresence of its shiny-as-Vibranium costumes. Photo by ERIK S LESSER/EPA-EFE/REX Textile conservator Emma Schmitt keeps close watch over the recently acquired Black Panther costume at the Smithsonian National Museum of African American History and Culture in Washington. 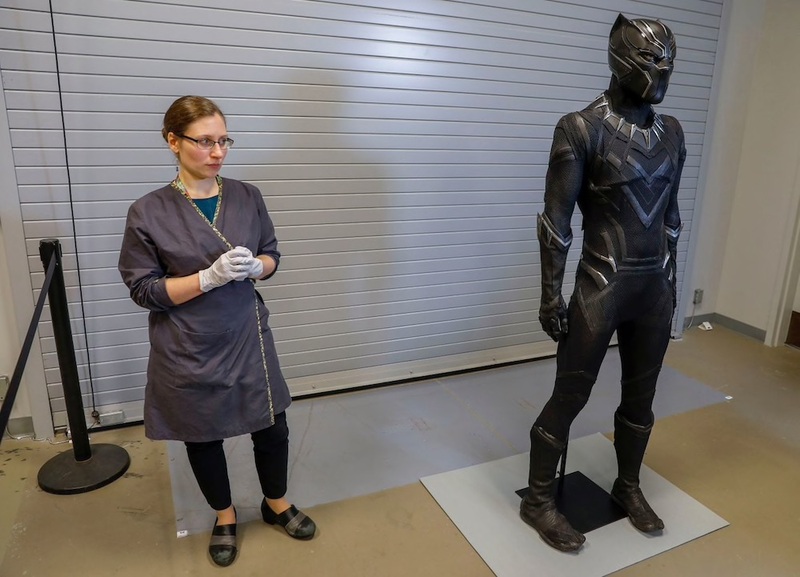 The suit, worn by Chadwick Boseman in the 2018 film, is made of flexible 3-D printed materials and was donated to the museum by Marvel Studios and the Walt Disney Company. When Hudlin was writing Black Panther comics, in fact, “one of the things I loved,” he recalled, was the diversity of its fandom. 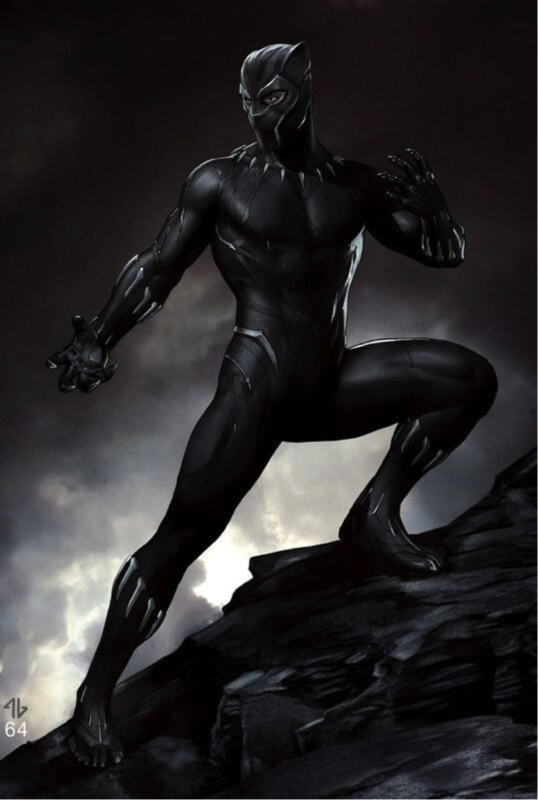 And given the popularity of the Black Panther — a character created by Stan Lee and Jack Kirby in the 1960s — Marvel Comics “grabbed a whole [black] demographic that was not really represented and brought them in, and just opened the door to everyone. 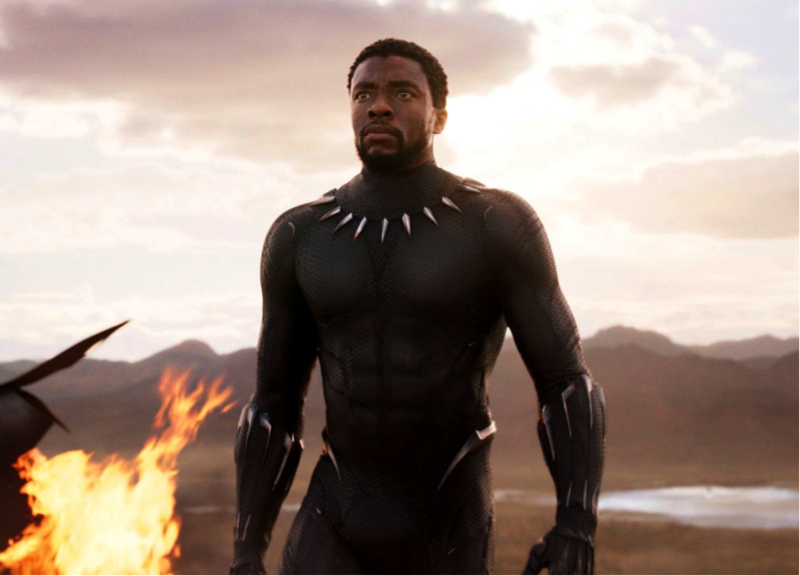 It didn’t mean that now it’s a segregated world — it means that it’s an inclusionary one,” said Carter, reflecting the film’s theme of whether Wakanda should stay isolated or connect with the rest of the globe. Shawn Martinbrough, a Washington-based illustrator (“Thief of Thieves”) who worked on the comic-book story arc “Black Panther: The Man Without Fear,” appreciates the creative interplay between the Kirby and Lee costumes of the ‘60s comics and Carter’s cinematic masterpieces — and believes that young cosplayers should feel free to wear any era’s look. Gene Luen Yang, a Bay Area-based graphic novelist (“American Born Chinese,” “Boxers and Saints”) and past national ambassador for Young People’s Literature, loves to write about issues of identity — including through his recent co-creation of the DC Comics character Kong Kenan, a.k.a. the “Superman of China.” And he draws a distinction about costuming based on the intention of the wearer. “It seems to me that when little kids dress up as fictional heroes for Halloween, they almost always do it from a place of admiration,” said Yang. His children “admire Superman or Black Panther or Rey from ‘Star Wars,’ so they want to try on their clothes for a day. Maybe deep down, they hope their heroes’ courage will bleed into them. When it comes to adults, however, sometimes “Halloween can be cover for certain individuals to express contempt for certain people and groups, all in the name of fun and irony,” said Yang, underscoring how the anonymity of a costume can provide cover for baser instincts. Alcaraz feels similarly about Disney/Marvel’s fictional African world. “If my kids wanted to dress up as Wakandans, I would be so happy,” he said. “Of course, they would never consider darkening their skin to portray these African-inspired comic-book and movie characters.